Our craftivism campaign with ShareAction was successful in encouraging Marks and Spencer (one of the largest and most influential retail companies in the UK) to pay their staff the Living Wage (here’s a TEDx video how we achieved success in our campaign so far) but we haven’t reached the top of the mountain yet. Now over 50,000 staff have had their wages increased to above the Living Wage (£8.50 an hour which is more than £8.45 set by the Living Wage Foundation) and that’s incredible! But we need your help to gain that cherry on the top: for Marks and Spencer to become a Living Wage accredited employer. Why? Because that way, staff are guaranteed the Living Wage or more year on year AND it leads the way for other retailers to follow. Use our template to help you write your message to Steve so it is positive and encouraging, realistic and emotive. Help us encourage the CEO of M&S Steve Rowe to keep the Living Wage accreditation on his mind, the management agenda and strive to reach it. Make a card for Mr Rowe this Summer and post it to him directly. It might not sound like a lot but your craftivism action will be one of many drops that is already having ripple effects. 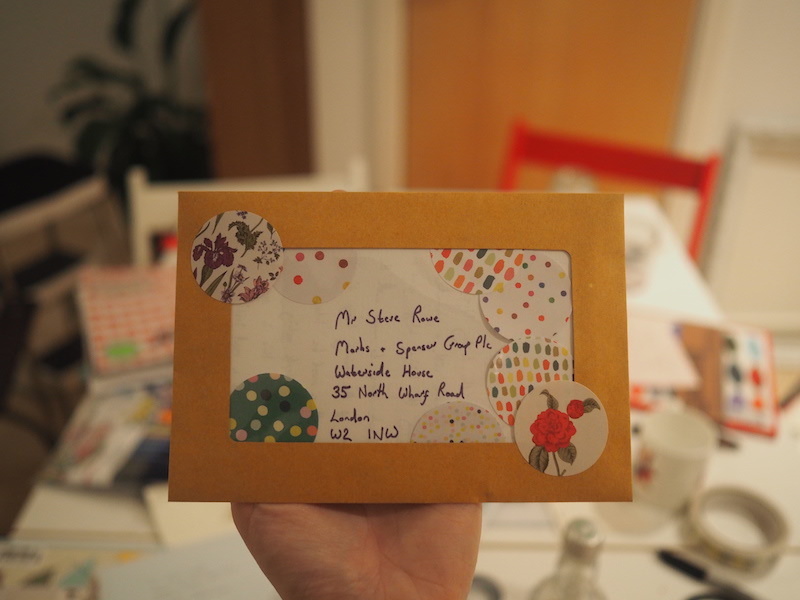 Many Craftivists have already sent Mr Rowe their handmade and handwritten card and he has replied to them. Handmake a card for the CEO of Marks and Spencer Steve Rowe. He has risen the ranks from the shop floor in Croydon. 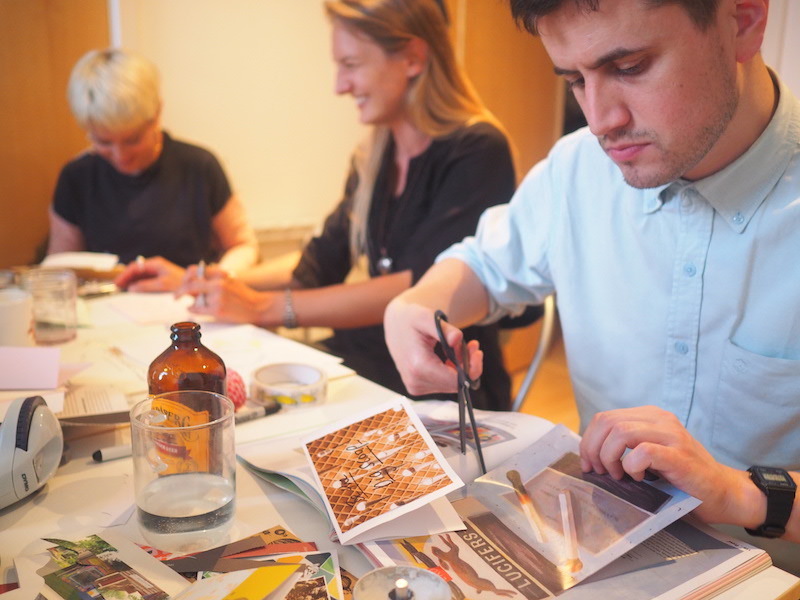 You can sew your card, draw it, colour it in, cut out and make a collage from magazines like the images here, draw Steve as a knight in shining armour, make it with children… Be creative! As long as its positive, encouraging and has time and love put into it please. We want Steve to feel encouraged and supported to implement the Living Wage and argue for it against any blockers. The time and care you have put into your card will show your commitment to the cause and engage Mr Rowe emotionally as well as intellectually I’m sure. You could make the card alone or with friends or a local group. 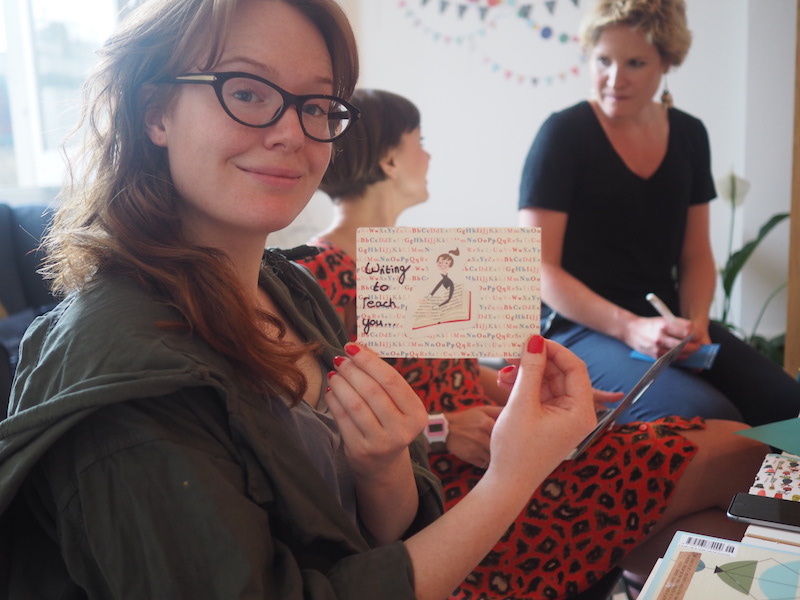 We need as many people as possible making lovely cards in lovely envelopes. 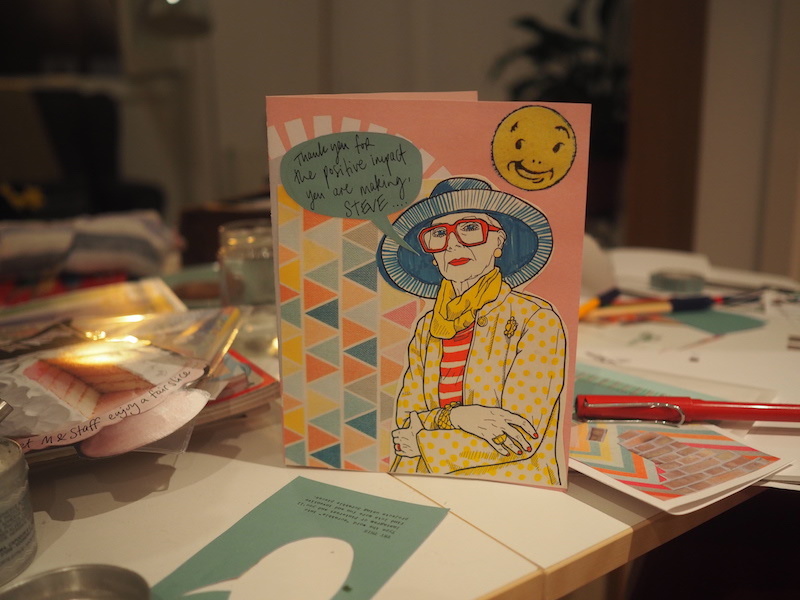 Send your positive and encouraging handmade card in a eye-catching coloured envelope ideally (I recommend a hopeful yellow) to Steve Rowe (personal), Marks and Spencer HQ, Waterside House 35 North Wharf Road London W2 1NW. Share your making progress, #crafterthoughts and final card to Steve Rowe on social media (tag @craftivists on Twitter, Instagram and our Facebook page) and encourage your contacts to make cards too. Also tag @Marksandspencer where possible. My name is [insert name], and I wanted to say a heartfelt thank you for the real and positive impact you have made on M&S staff wages since becoming CEO of the company. I hope you can build on this brilliant progress by taking one more step to accredit with the Living Wage Foundation, and pay all M&S staff a Living Wage with a guarantee to keep paying the Living Wage year on year. This would really set M&S apart as the inclusive and sustainable business it is. And now, as CEO of a company you’ve worked for your entire career, you are in a unique position to drive this positive change for the business. As a dedicated customer who cares about working poverty, I would be proud to shop at M&S knowing that your staff are paid a wage they can live on and this would significantly enhance my shopping experience. A commitment to accredit would be one more reason to celebrate all the hard work done by you and the M&S team. What challenges do you think Steve Rowe might face in becoming a Living Wage employer? How can you support Mr Rowe in facing those pressures/challenges and how could you help him overcome them? Are you being a critical friend or an aggressive enemy in your card? Remember, compassion, understanding and positivity inspires. Use your card to touch Mr Rowe’s heart as well as head. 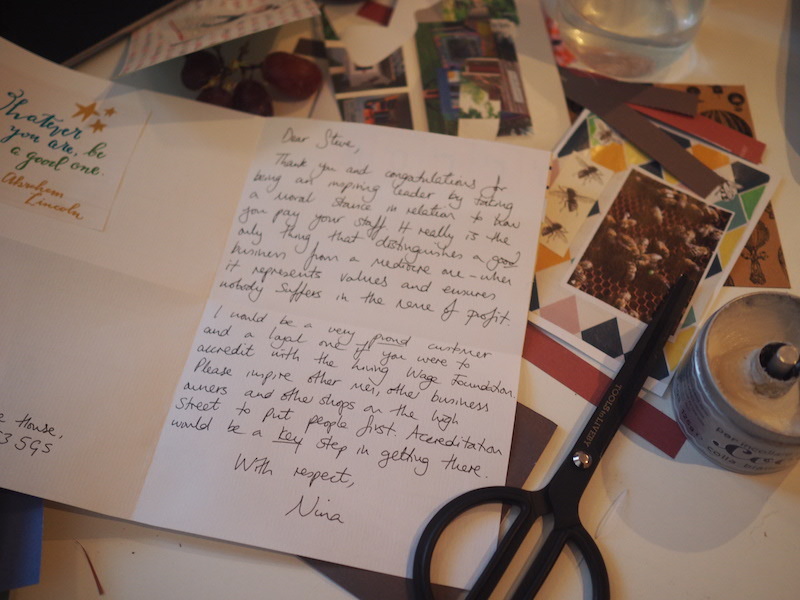 It is unusual for any of us to recieve handmade cards in the post which is why it can be such a powerful campaign tactic. 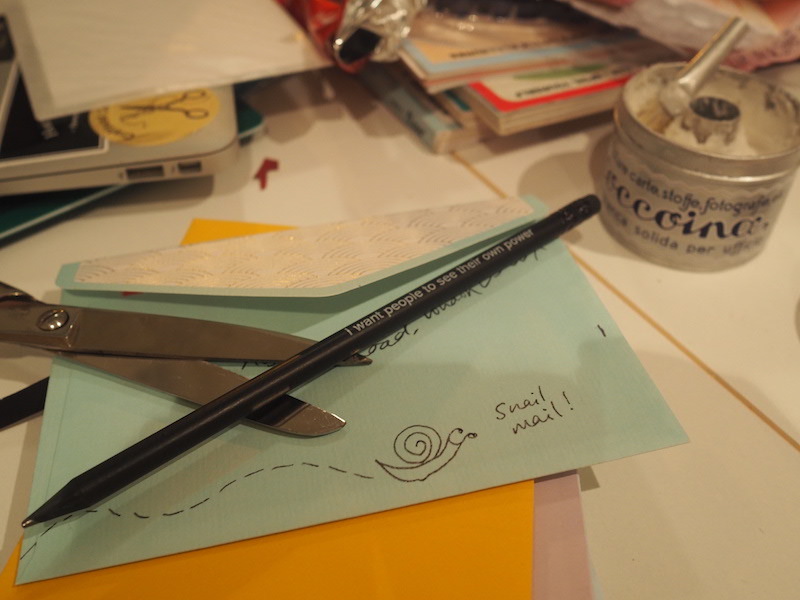 Your snail mail will be more memorable than any email don’t you think? See more images of cards for inspiration on our Instagram, Twitter @Craftivists, Facebook page Craftivist Collective and Newsletter and I can’t wait to see your cards! Thank you so much for the cars inspiration. I have also added your on Instagram to see more cards ideas. Thanks for sharing..